Mouthwash Overdose occurs when an individual takes more than the normal or recommended amount of mouthwash, either by accident or intentionally. What are the Causes of Mouthwash Overdose? Mouthwash Overdose occurs when the individual orally ingests (drinks) mouthwash. What are the Signs and Symptoms of Mouthwash Overdose? 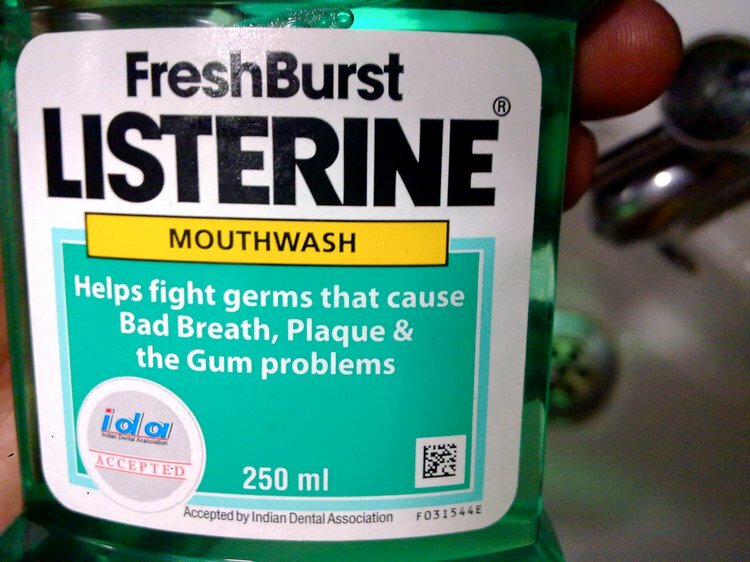 How is First Aid administered for Mouthwash Overdose? If you suspect Mouthwash Overdose, call National Poison Control Center at 800-222-1222 (or your local emergency number) and provide as much information as you can; even if the person does not have any symptoms. Who should administer First Aid for Mouthwash Overdose? The person himself/herself or someone nearby may begin to administer First Aid. Call 911 (or your local emergency number) immediately as mentioned before. What is the Prognosis of Mouthwash Overdose? How can Mouthwash Overdose be Prevented? Wax PM, Young A. Caustics. In: Marx JA, Hockberger RS, Walls RM, et al., eds. Rosen's Emergency Medicine: Concepts and Clinical Practice. 8th ed. Philadelphia, PA: Elsevier Mosby; 2013:chap 153. Finnell, JT. Alcohol-related disease. In: Marx JA, Hockberger RS, Walls RM, et al., eds. Rosen's Emergency Medicine: Concepts and Clinical Practice. 8th ed. Philadelphia, PA: Elsevier Mosby; 2013:chap 185. Kolikonda, M. K., Sriramula, S., Joseph, N., Dannaram, S., & Sharma, A. (2014). A case of mouthwash as a source of ethanol poisoning: is there a need to limit alcohol content of mouthwash?. The primary care companion for CNS disorders, 16(1). Rayar, P., & Ratnapalan, S. (2013). Pediatric ingestions of house hold products containing ethanol: A review. Clinical pediatrics, 52(3), 203-209.